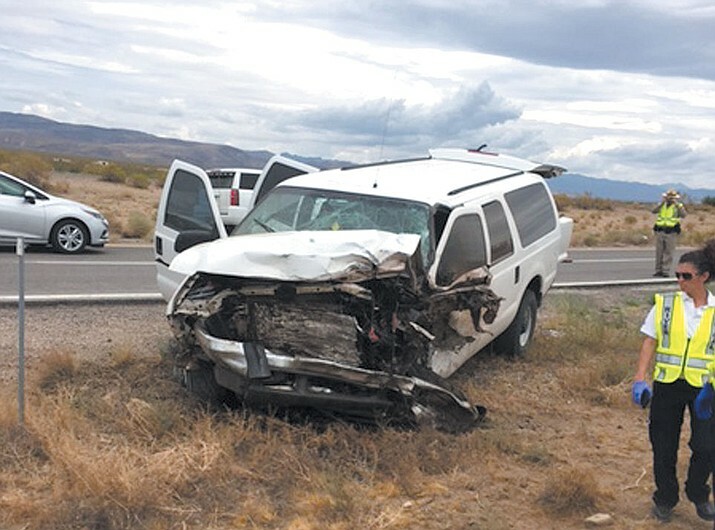 Kingman, Arizona—Rebecca Meyers, age 61 of Green Valley, was killed on Monday afternoon as a result of a three-vehicle accident on U.S. 93 north of Dolan Springs. The driver of a northbound Ford SUV lost control of the vehicle causing it to cross a median where it crashed into a Cadillac and a Dodge. Ms. Meyer was the driver of the Cadillac. Arizona Department of Public Safety accident investigators report that tire failure may have been a contributing cause of the collisions. Two occupants of other vehicles were transported to Kingman Regional Medical Center for treatment of their injuries. We extend our condolences to the family and friends of Ms. Meyer at this time of great loss for them. We wish those who were injured prompt and complete recoveries.